Inland ports represent logistics hubs which facilitate transshipment between transport modes in a transport system and act as regulators of freight flows in supply chains. The human factor was often excluded and rather focuses more on technical infrastructure. A survey on the status-quo of human resources in Austrian, Hungarian, Romanian, Bulgarian and Croatian Danube ports was conducted in the framework of the DAPhNE project, to assess the needs of the inland port sector concerning human resources development. The majority of port employees are older than 36 years entailing the risk of shortage of staff in inland ports in the next decades due to the retirement of current employees. In the future, experts from the inland port sector expect a balance in terms of gender in inland ports. Results show that in the future, further training measures are required by inland ports. In addition, measures to promote inland ports as an attractive work place to young people and women are required. 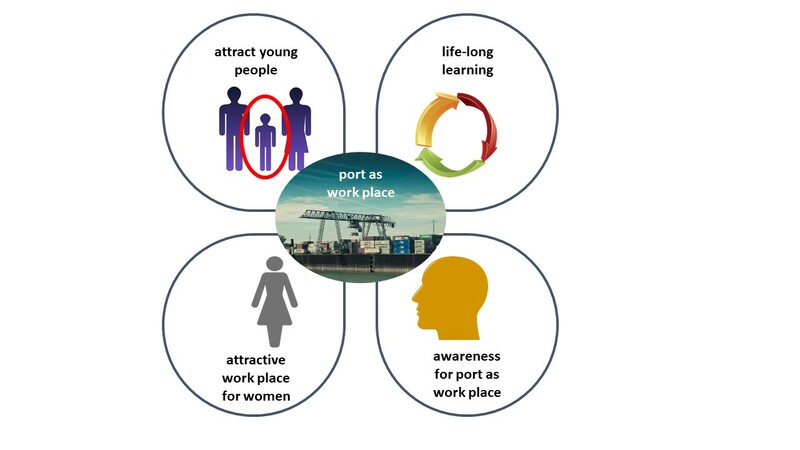 The best practices report on HR in ports reveals that appropriate emphasis needs to be given to human resources management and particularly the training component, often an over-looked area that can have a significant impact on port performance. Therefore, ports should be seen as “socio-technical” systems, with a balanced split of attention to both components.